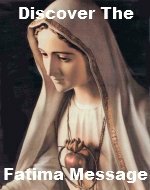 The Second Glorious Mystery Rosary Meditations focus your thoughts on the hope of attaining Heaven. Can you imagine watching with the Apostles as Jesus gloriously Ascended into Heaven on a cloud, watching Him go further and further until you can no longer see Him? The Apostles had been commissioned to go out and spread the Gospel, but at this moment, their hearts and thoughts were preoccupied with the hope that they one day would join Jesus in Heaven. This hope gave them strength to carryout their heroic mission. Please add your own meditation(s) on this mystery, The Ascension. By adding your own meditation(s) you are actually building your own web page on our website. 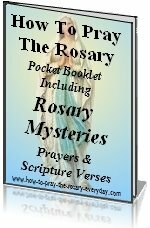 They don't have to be elaborate meditations, but they do have to pertain to the Second Glorious Mystery Rosary Meditations. Never be afraid or embarrassed to profess your faith and love of the Lord for he loves you without condition and so should you love him.